Chelsea defender ready to fight for his position in the team - Could be dropped this afternoon. Victor Moses has hailed the signing of Davide Zappacosta on transfer deadline day but has also re-iterated that he is ready for direct competition with him for the start at right wing-back under Antonio Conte. I posted yesterday morning that I could not see Conte making any changes to the Chelsea team that had beaten Everton two weeks ago; for the trip to face Leicester this afternoon. 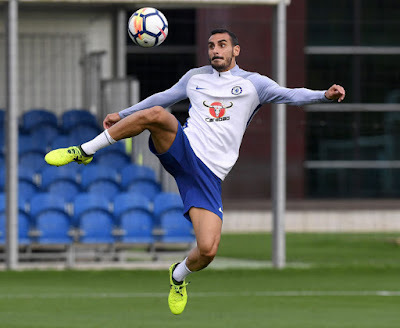 However, in his press conference on Friday, Antonio Conte revealed to the press that we would Davide Zappacosta in action "very soon" which indicates to me that could be as early as today. So what of Victor Moses who has adapted and improved his game under the manager? Having played most of his career up front or out on the wing, Moses was asked to do a job for the team as a wing-back and has been a revelation. 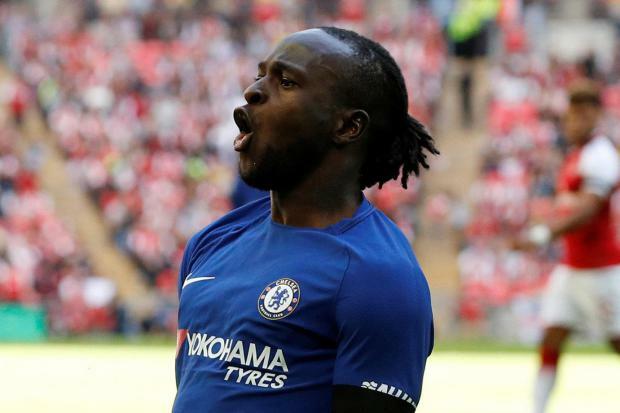 Working with Cesar Azpilicueta who talks him through games as he looks to improve his defensive ability, Moses has made dramatic improvements in that area playing an important role in a team that dominated the Premier League last season. "I am ready for the competition. We needed more players, to be honest. We have a lot of games to play this season. You can't expect to play 60 games or so. I'm ready to take on anyone that is coming here. I just want to play my football. It's a different test but we are looking forward to it. We missed out on the Champions League last season but we are back in it now. We have a strong team and will keep doing the best we can in all the competitions. We are happy with the way the season has started, especially after what happened in the first game, when we had two players sent off. Apart from that, everything else is fine." "My game has changed and it's all down to the manager. He gave me the confidence to play in the position. I'm enjoying my football and I just want to say thanks to him, really. It is always good for a player when a manager believes in you. It gives you the belief to go out on the pitch and express yourself. I just want to pay him back and do my best to help the team. I feel like I belong. After last season, I feel a lot more comfortable now. I'm home, I'm playing for my club now." - Source: SkySports. I honestly believe that Antonio Conte's quotes on Zappacosta during his press-conference gives more than an indication that he will start the game ahead of Moses who looks like being lined up to start in the Champions League on Tuesday night. For anyone to lose their place in the side it will be tough but as Moses has admitted, we could face around 60 games this season if we want to put ourselves in a position to win trophies and we will need everyone in the squad to play their part. Expect Zappacosta to be named in the team tomorrow!